Well the musical train that is Sunset Valley has come to the end-of-the-line. 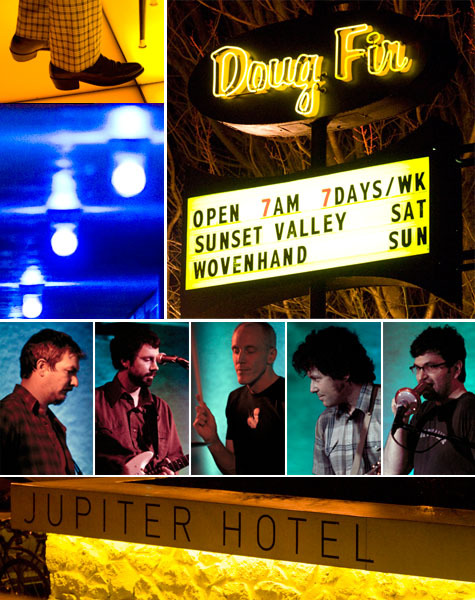 Last Saturday night at the Doug Fir, Sunset Valley gave their farewell show, leaving a void in the Portland space-superpop galaxy. Fortunately, we managed to snap a few photos of the show for your viewing pleasure. All the photos along with some bootleg video after the turn. Thanks Sunset Valley for all the fun. Really nice photo layout! You’d do well on that fashionista reality show where they have to do the Elle pages. I love the photos! Maybe that’s cuz I love Sunset Valley. Was the music super awesome?